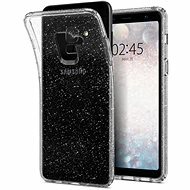 The CONNECT IT case will greatly protect your mobile from scratches and other environmental influences. The case is made of hard plastic, which guarantees its strength and durability. The CONNECT IT case provides superior protection against scratches and other damage. 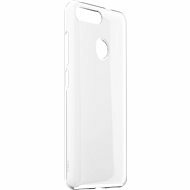 The case is made of solid plastic, ensuring enhanced durability. It comes in several colour variants, which allows you to match the design with your mood or outfit. Its sophisticated construction provides a perfect fit and an easy access to all controls. The case is easy to install and remove. The package includes two screen protectors and a cleaning cloth. For shipping to other EU countries visit this page CONNECT IT S-Cover iPhone 6/6s black. 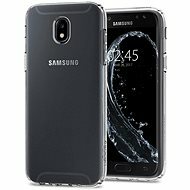 Für Versand nach Deutschland, besuchen Sie bitte CONNECT IT S-Cover iPhone 6/6s schwarz. Chcete doručit zboží do Česka? Prohlédněte si CONNECT IT S-Cover iPhone 6/6s černé. Chcete doručiť tovar na Slovensko? Prezrite si CONNECT IT S-Cover iPhone 6 čierne. Für Versand nach Österreich, besuchen Sie bitte CONNECT IT S-Cover iPhone 6/6s schwarz. Magyarországra történő kiszállításért tekintse meg ezt a termékoldalt: CONNECT IT S-Cover iPhone 6 / 6s fekete.